St~Germain is a French liqueur made with fresh elderflowers, hand-picked once a year in the late spring. As the world’s first, finely crafted all-natural elderflower liqueur, its flavor is as subtle and delicate as it is captivating, evidenced in its sublime notes of peach, pear, and grapefruit, yet none of them exactly. Perhaps contributing to its elusive reputation is that of French savoir faire—an inconspicuous ingredient that is all at once essential to St~Germain’s endless charm. 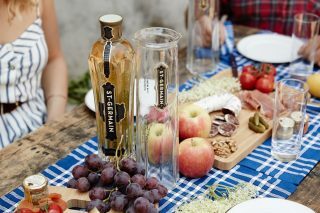 The exceptional quality and taste of St~Germain is defined by the ephemeral elderflowers used to create it. To accomplish its exquisitely fresh and natural flavor, every bottle of St~Germain contains up to 1,000 of the very best elderflower blossoms, resulting in a finely crafted, perfectly balanced and refined liqueur. Creating St~Germain is somewhat of a race against time, as there are only a few fleeting weeks every summer when the blossoms’ flavor and aroma are at their peak. That is why each bottle is individually numbered to reflect the year in which the flowers were picked—a charming reminder that even the smallest and most delicate opportunities can be nurtured into something beautiful. St~Germain is made from fresh, ephemeral elderflowers harvested by hand once a year. 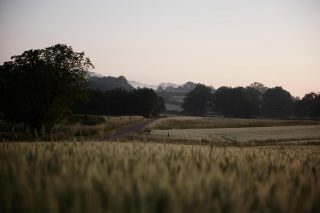 The harvesting season lasts for approximately three to four weeks in late spring when the flavour and aroma of the flowers are at their peak. 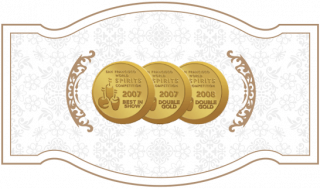 The quality and freshness of St~Germain depends entirely on the quality and character of the elderflower blossom. Elderflower blossoms are extremely delicate, and are therefore treated with great care from the moment they are hand-picked to the moment they are bottled. If the blossom is damaged in any way, it could impact its aroma and flavour. Adding to the challenge of delivering the blossom in perfect condition is the need for speed. 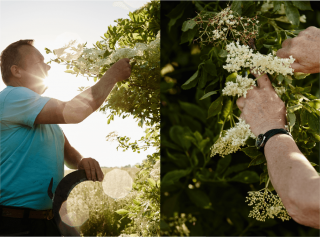 It is important that the elderflower is as fresh as possible at the time it is macerated to ensure that its fresh aroma and flavour are captured in St~Germain. As with any recipe, precision is essential for delivering consistent quality. St~Germain is made charmingly slow, utilizing age-old French techniques, starting with maceration. The traditional process of maceration is a dynamic one, infusing warm water with the aroma and flavour of the finest, freshest elderflowers over the course of several hours. The all-natural elderflower infusion is then carefully decanted and filtered to remove its flowers and stems. The quality, aroma, and flavour of each infusion is diligently inspected before it is blended with previous mixtures, the result of which creates the exact fragrance and flavour profile of the elixir that will eventually become St~Germain. The final 100% natural elderflower infusion is then skillfully blended with eau-de-vie de vin, water, sugar, and neutral grain spirit to, at last, create our beloved St~Germain. 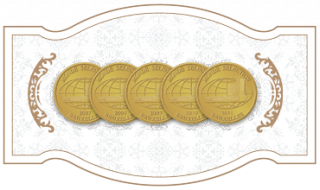 From its captivating flavor and beautiful design, to the innovative process and extraordinary measures it takes to make it, there are countless interesting stories and facts surrounding St~Germain. What year was St~Germain released/established? St~Germain was first created in 2007. Where did the name St~Germain originate? The name St~Germain is inspired by St~Germain-Des-Prés, an area of Paris influential in the Art Déco and Belle Époque movements of France. How many elderflowers are inside each bottle? There are up to 1,000 flowers in each bottle of St~Germain. What does St~Germain taste like? Its captivating flavor is reminiscent of tropical fruits, peach, pear, citrus, and a hint of honeysuckle. Because of its versatility and ability to elevate any cocktail, St-Germain is the bartender’s best friend. Does St~Germain pair well with a specific type of liquor? St~Germain plays well with all base spirits. Do the numbers on the front of the bottle reference anything specific? The last two digits of the serial number on each bottle identifies the year of bottling. Its flavor is 100% natural and created entirely from handpicked elderflowers. Is St~Germain’s gold coloring artificial? The golden color of the liquid comes from pollen, there is no artificial coloring added. What is the inspiration behind St~Germain’s unique bottle design? The bottle is designed to commemorate the French elegance of the Art Deco movement and 1920’s Paris. Is there any significance to the bicycle often used in St~Germain’s branding? Flower-gatherers, who often use bicycles to usher the delicate blossoms back to the village, serve as a subtle mascot to our elderflower liqueur, illustrated proudly in our logo. 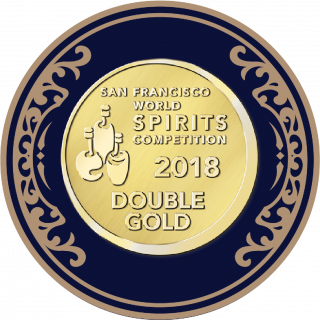 Since 2007, St~Germain has been heralded by the some of world’s most influential publications and garnered a few of the spirit industry’s most prestigious awards. 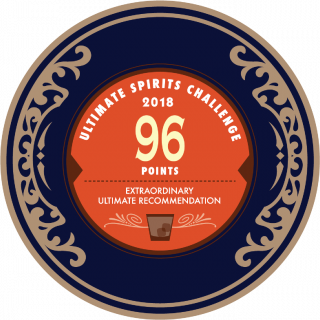 Awarded over an international field of world-class liqueurs by premier spirits experts including Steve Olson, Dale DeGroff, David Wondrich, and Sean Ludford.